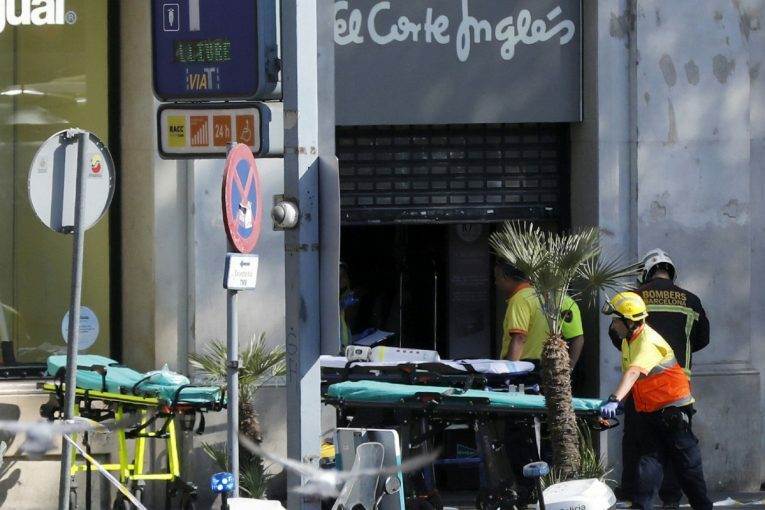 Allan Gray and his family were in a Las Ramblas restaurant in Barcelona on Thursday when they heard a loud crash and saw crowds of panicked people rushing to the back of the building. Amid the commotion, the Mississauga man ran with his wife and two daughters into an adjoining hotel where they huddled on an upper floor for the next five hours, flinching at the sound of gunshots and wondering whether movements in the stairwells were people trying to find safety or a potential terrorist about to launch another attack. Among the 13 people killed in the Barcelona attack was Canadian Ian Moore Wilson, according to a family statement. As many as 100 were injured, including four Canadians. No details about those who were injured or their conditions were released. Anca Gurzu, a Canadian from Ottawa, was in a nearby neighbourhood when the Barcelona attack took place, but only realized what was going on after receiving a frantic call from a friend. “(The police) were just everywhere, they were walking with their guns, and it was a bit surreal,” said Gurzu, who went to the scene of the attack about two hours after it took place to see what was going on. She said the residents of Barcelona remained “defiant” in the face of the violence, and that thousands of mourners gathered in the city’s main square on Friday to observe a minute of silence and march through the city’s streets. People laid candles on the street beside bloodstains on the pavement where victims had been hit, she said. The crowds chanted “I am not afraid! I am not afraid!” as they marched through the streets. Outside the main strip where the attacks occurred, Gurzu said the city’s residents are making an effort to try and go about their lives normally.